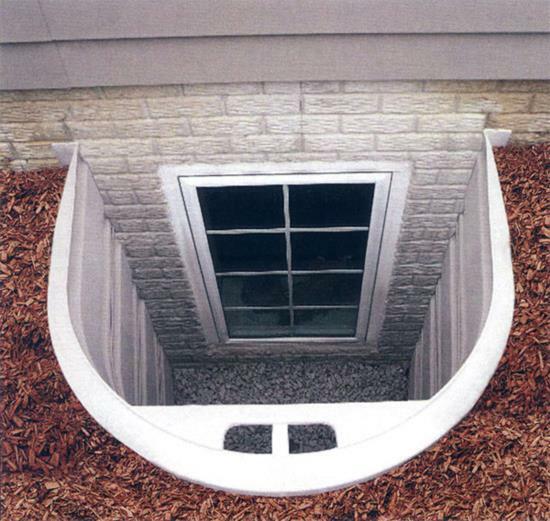 All Construction Services offers Bilco stakWEL emergency egress window well system. Now you can have an emergency egress without it being an eyesore. These windows are competitively priced with standard, corrugated metal window wells. They are the ideal replacement for rusty metal window wells as their high density polyethylene construction will never rust, rot or discolor. These window wells allow natural daylight and ventilation into lower level living areas and blend in with the landscaping. Their unique "Grip/Step" design features a convenient handle and gusseted step to aid in egress.